Demand for tickets far outstripped supply. AEW's inaugural pay-per-view Double or Nothing has, unsurprisingly, sold out its entire 11,600 capacity within record time. Tickets came on sale at 3pm EST, and within less than an hour, the online box office was totally wiped of its stock during the pre-sale. F4WOnline confirmed the news via Wrestling Observer Live. Given the colossal buzz surrounding AEW's debut show, a near instant sell-out was pretty much expected. 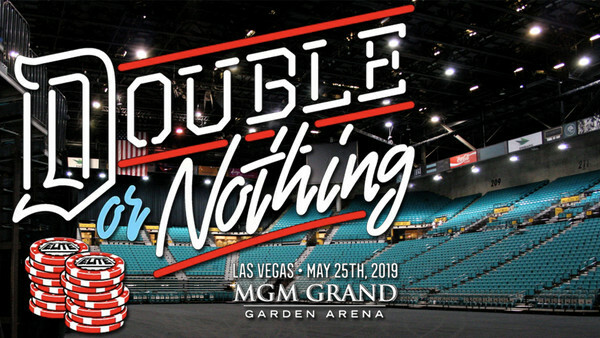 Dave Meltzer of The Wrestling Observer reported that as of Sunday morning, Double or Nothing pre-sales had reached a phenomenal 22,000 requests, speculating that the event could have filled an arena up to two or three times the size. Meltzer might have been exaggerating a little - not every pre-sale would have been fulfilled, nor would every customer have purchased more than a single ticket each - but it definitely does feel as though AEW have underestimated their appeal, especially following All In's similar sellout last year. The show, promoted off the back of a 'bet' between Cody and Meltzer, became the highest attended non -WWE wrestling show in North America since 1993, packing 11,200 people into Chicago's Sears Center. Double or Nothing looks set to marginally best that - but it could easily have made good on its name.